I found myself calling these ‘snack cakes’ because we kept pulling them out of the freezer and snacking on them! These are delightful little cakes that are reminiscent of a classic bundt cake. Top them off with my spicy icing. Pre-heat the oven to 350 degrees. Grease a mini muffin pan with coconut or olive oil (or ghee or grass-fed butter if you are eating). Place all the ingredients in a blender and blend until combined. 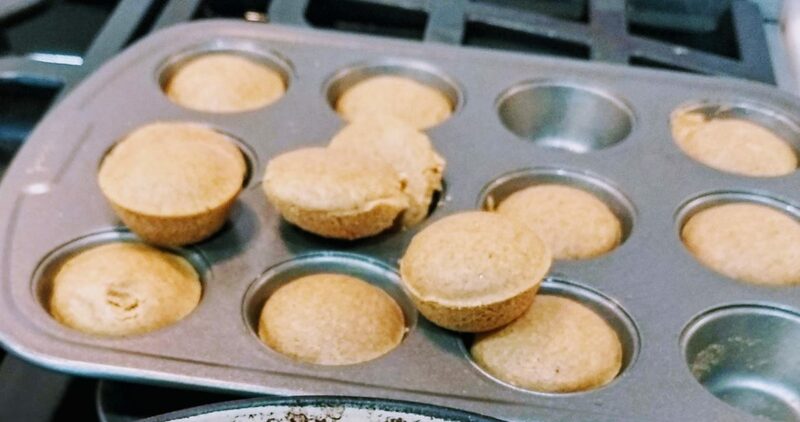 Using a mini muffin pan, fill the each cup with 1-2 tbls of batter. Bake for 14 -16 minutes. Remove from oven and let rest. These store really well in the freezer. I’ve only made them as mini’s, so if you make them full size they would need to be cooked longer. I also used a little of the batter to fry a pancake and it worked out great!